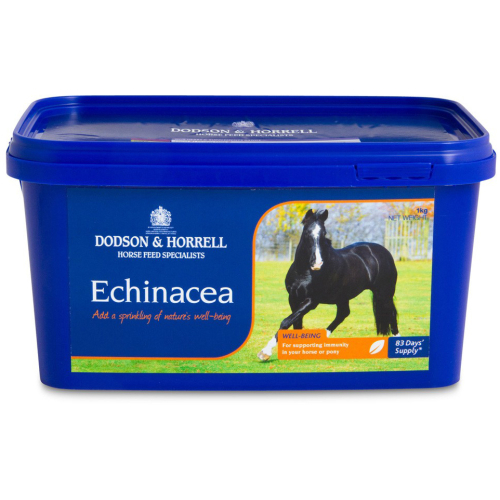 Dodson & Horrell Echinacea is a herbal supplement derived from Daisies which is known for its medical purposes. Echinacea is used to improve your horses immune system. Simply add Enchinacea to your horses feed when he feels under the weather and you will soon see the positive effects of Enchinacea! Ponies & Smaller horses = 4 scoops (powder)/day or 15ml (liquid)/day. Larger Horses = 6 scoops (powder)/day or 30ml (liquid)/day.